Editor's note: Zaki Laïdi is a professor of International Relations and European Affairs at Sciences Po. 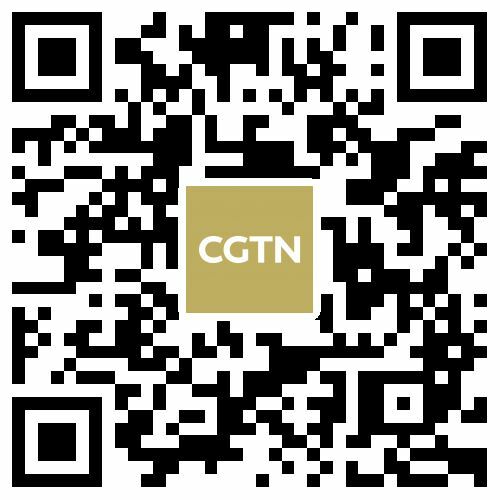 The article reflects the author's view and not necessarily those of CGTN. All too often, important contributions to public debate go almost unnoticed, as was the case with Sigmar Gabriel's recent commentary on the Franco-German relationship. A former leader of the Social Democrats (SPD) who has also served as German minister of foreign affairs, Gabriel has issued a rather violent charge against the new Franco-German Treaty of Aachen, which he sees as the first step in a plan for a European Defense Union. No such plan exists. Yet, according to Gabriel, the treaty represents a renewed bid for European strategic autonomy along Gaullist lines. 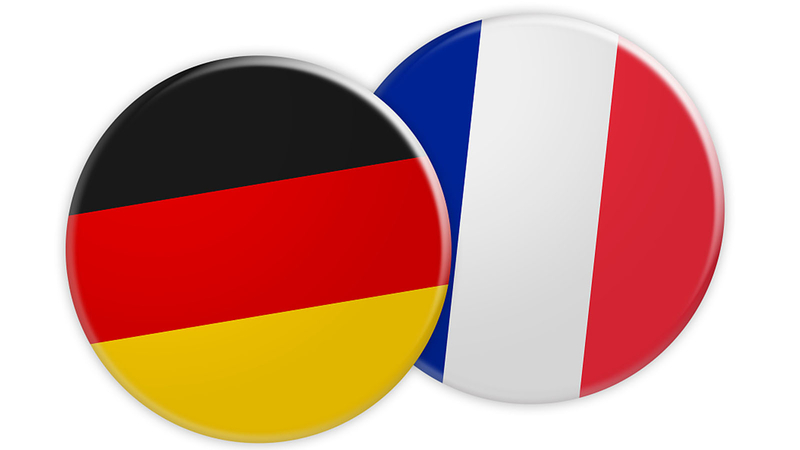 As such, he condemns it for being “at odds with Germany's own longstanding approach of balancing the friendship with France alongside strong transatlantic relations with the [United States and the United Kingdom].” In his view, Germany has already yielded too much to Gaullist France (a label he does not apply as a compliment). German Chancellor Angela Merkel and French President Emmanuel Macron talk with German and French citizens after signing the Aachen Treaty on January 22, 2019, in Aachen, Germany. 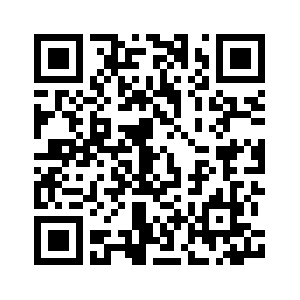 /VCG Photo. Gabriel's main objection is that the new agreement will pull Germany away from NATO. 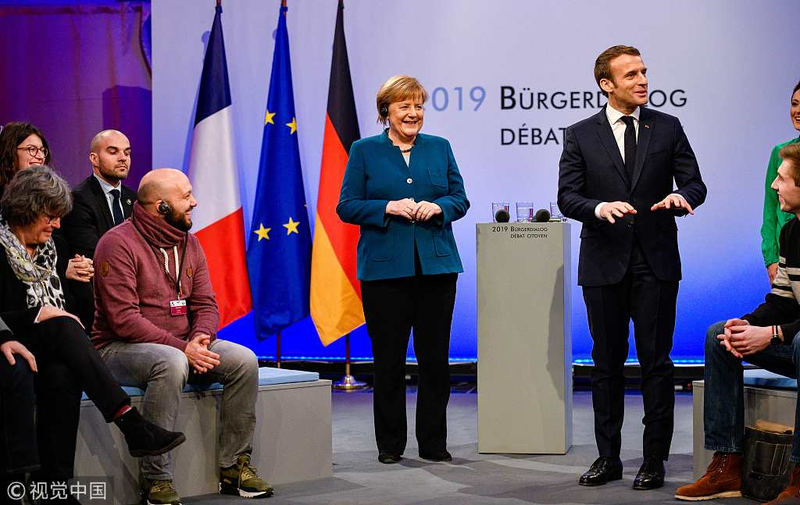 He points out that the earlier Franco-German friendship pact – the 1963 Élysée Treaty – was explicitly amended by the Bundestag to reaffirm Germany's transatlantic ties, provoking the fury of then-French President Charles de Gaulle. Hence, he sees the Treaty of Aachen as yet another attempt to cut the U.S. out of the European security equation. Yet, curiously, he never mentions the fact that U.S. President Donald Trump has himself threatened to withdraw the U.S. from NATO. Does Gabriel believe that freezing the Franco-German relationship in place is necessary to appease Trump? If so, that would mean Europeans should not pursue any form of deeper integration whatsoever. Gabriel accuses France of wanting to separate Germany from the U.S. in the interest of European, rather than Atlantic, defense. But the fact that France sought a degree of independence from NATO 53 years ago does not mean that it still wants that today. 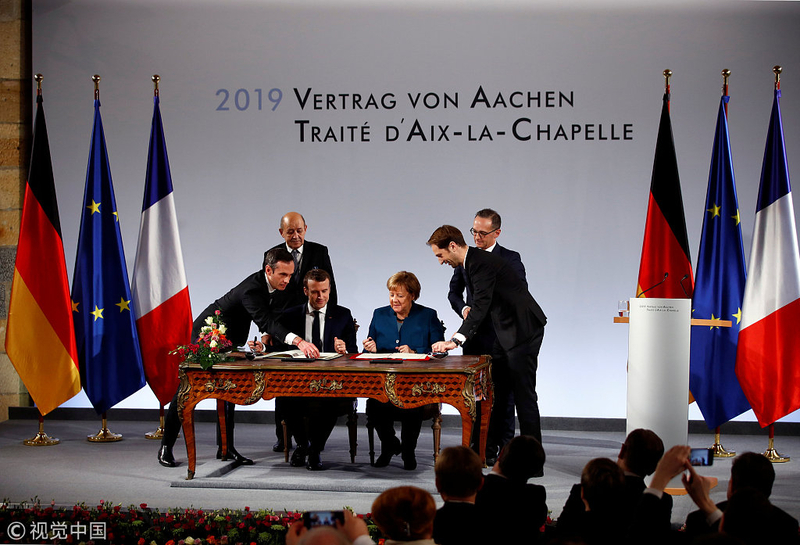 German Chancellor Angela Merkel and French President Emmanuel Macron sign a new agreement on bilateral cooperation and integration, known as Treaty of Aachen, in Aachen, Germany, January 22, 2019. /‍VCG Photo. In 2009, France rejoined NATO as a full member and has since been active in NATO operations, particularly in the Baltics. Moreover, Franco-American relations remain particularly strong at the operational level in both the Sahel and the Levant. As a result of these joint efforts, the U.S. now considers France one of its strongest allies. By contrast, if German-U.S. relations are souring, it is because Germany has come to seem like a free rider in security matters. As such, the biggest threat to transatlantic relations is not the Franco-German treaty, but rather Germany's own reluctance to step up its defense efforts. Why should America defend a Europe that does not want to defend itself? If the U.S. is exerting pressure on Germany – and if its ambassador in Berlin behaves with a level of arrogance that would be unimaginable in Paris – that is because Trump is convinced that Germany is completely at America's mercy. As for France, it has no interest in weakening NATO, on which it depends, as we have seen in Libya. The French message is simply that Europe has its own interests to defend. It cannot subcontract its security to the U.S. forever, and the presence of NATO does not absolve it from thinking and acting for itself. It is worth remembering that France was ready to intervene in Syria in 2013. But after the U.S. suddenly changed its mind, France, too, stood down. Still, had Europe mustered the will to act militarily without the U.S., it could have done so without harming American interests. In other words, there is no zero-sum conflict between Atlantic and European defense. On the contrary, the crisis of the former stems directly from the absence of the latter, which the U.S. has come to resent. 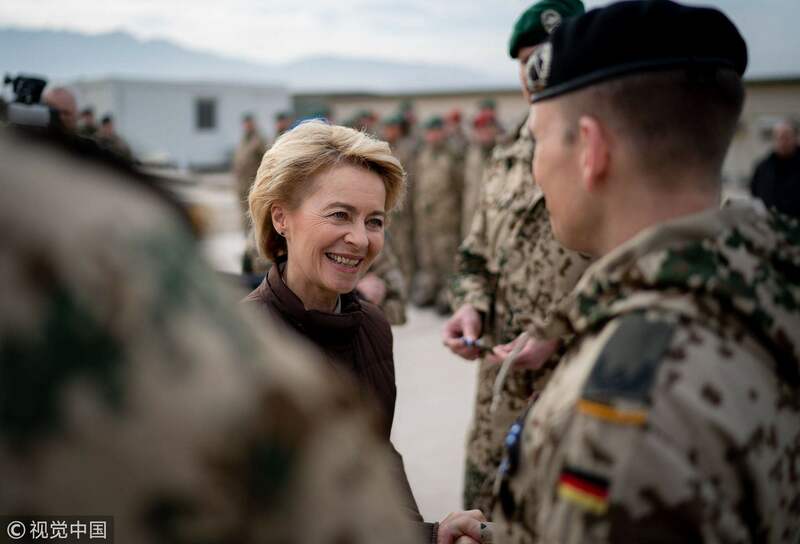 The biggest threat to transatlantic relations, then, is the reluctance of Germany's political class to debate German security and make clear that defense is an existential issue for Europe. If Germany wants the Americans' respect, it must bolster its own military credibility. In today's world, the strong only respect the strong. Gabriel's dubious reasoning seems to reflect his own bias. He is critical of the concept of European strategic autonomy as envisioned by French President Emmanuel Macron. But while the meaning of strategic autonomy can be debated, the real question is whether Europe itself has interests apart from those of the U.S., China and Russia. If the answer is yes, there is no reason to fear European strategic autonomy in military, geopolitical, and economic affairs. But even if the answer is no, Gabriel's reasoning would still be worrying, to say the least. After all, his own successor at the German foreign ministry, Heiko Maas, regularly acknowledges the need for Europe to be more autonomous in the face of diverse new forms of external pressure. That is why Germany is now at the forefront of the effort to protect European-Iranian trade against U.S. sanctions and strong-arming. Contrary to what Gabriel seems to think, “strategic autonomy” is not a watchword for placing Germany under French command or pulling it away from the U.S. Moreover, Gabriel himself supports the idea of European sovereignty, even as he objects to strategic autonomy. The two go hand in hand. There can be no separating the economic from the strategic; everything is linked. Gabriel's case against the Treaty of Aachen misses the mark; worse, it does a disservice to Europe and Germany alike.